bottom row (left) Jesus Zavala, and Luis Garcia. Five suspects are in custody at the Sacramento County Jail after search warrants were served for an alleged illegal marijuana growing operation in Elk Grove. At 7 a.m. on Wednesday, September 27, detectives from the Elk Grove Police Department's Street Crimes Unit served warrants on the 8500 block of Waterman Road. The search led to the discovery of over 361 plants and 37 pounds of processed marijuana and evidence the suspects were stealing electricity from Sacramento Municipal Utility District. 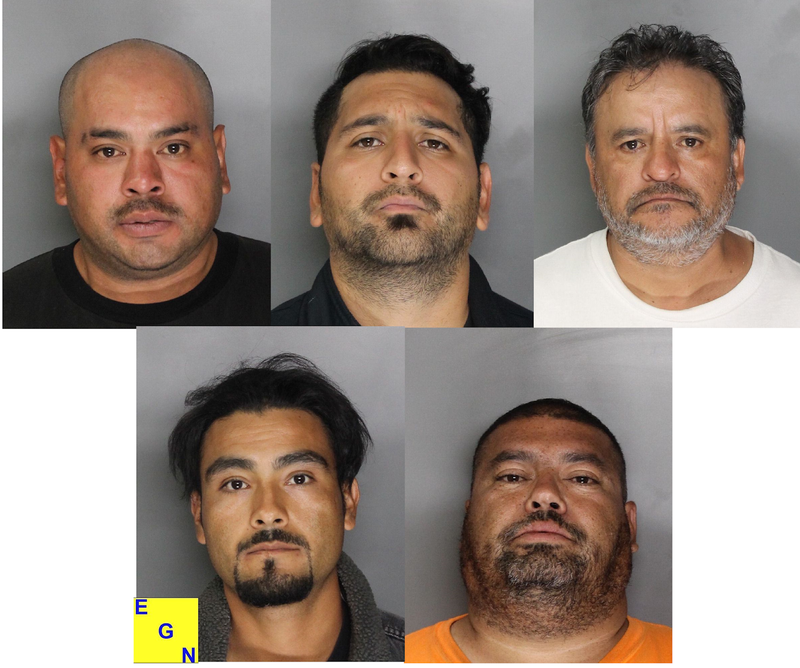 The five suspects, all Elk Grove residents, taken into custody were Juan Paddilla, 32; Alfredo Padilla,29; Guillermo Padilla, 55; Jesus Zavala, 33; and Luis Garcia, 49. All suspects remain in custoday ineligible for release and will be arraigned on Friday, September 28.